home › posts › 5 Tips for Staying Fresh in... ten trees planted for every item purchased. Spending time in the backcountry can take a toll on your personal hygiene. Here are some tips and ideas for you to stay fresh and clean(er) while adventuring! Making sure you keep up with your normal dental hygiene habits is more important than you may think. Keeping your mouth fresh and feeling great wakens your day, and helps you sleep better at night. We all have probably experienced bad morning breath, and know what that can be like, and it makes you feel grungy all over. A simple toothbrush, travel size toothpaste and floss is all you need. As with your dish water, do not rise or spit out near your camping site. The smells can attract bears and other animals you wouldn’t want visiting you while you sleep. Hand sanitizer & baby wipes are great little items to have in your pack. Use hand sanitizer after bathroom breaks and before cooking. Hand sanitizer is not a great way to thoroughly clean your hands if they are visibly soiled however. To really clean your hands, give them a scrub down in a creek or lake to remove the dirty bits, then follow up with the sanitizer. Baby wipes (unscented!) are probably one of my most favorite “luxury” items to have on board. After a long day on the trail, my legs and feet get absolutely dirty filthy, and my body feels greasy and salty from the sunscreen and sweating. Baby wipes are your solution to a quick easy feel-good “shower” in the backcountry. They do however, take up a lot of space, and you’ll have to pack the dirty rags out. 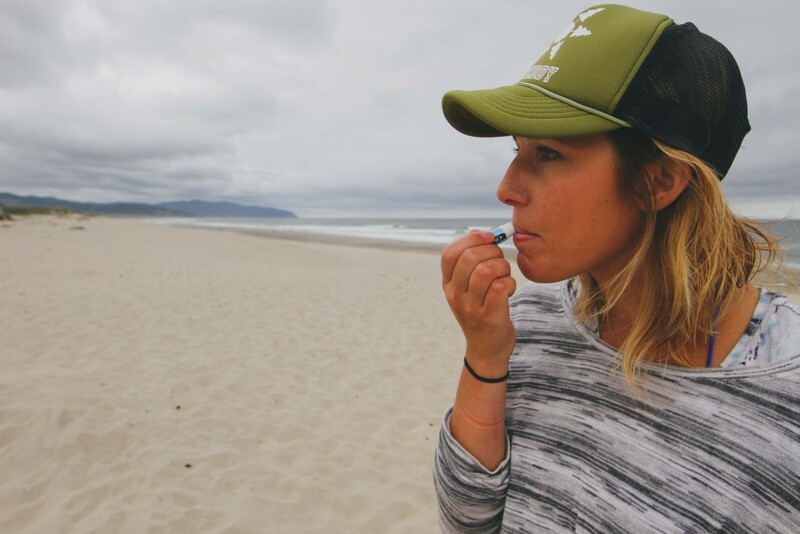 Stay sunburn and chapped lips free when you’re out exploring! Applying sunscreen can certainly make you feel gross for the time being, but the burn is going to do a lot more damage in the long run. Reapply every few hours or so, and remember, at the end of the day, you can always clean off with baby wipes or a soapy (nature approved of course) towel. My favorite kind of sunscreen is the “dry” types that don’t feel as greasy. They are a bit spendier, but totally worth it. Lip balm is an easy accessory to keep in a pocket on your travels. I find myself reapplying about every 30 minutes or so to keep them moisturized and chap free! 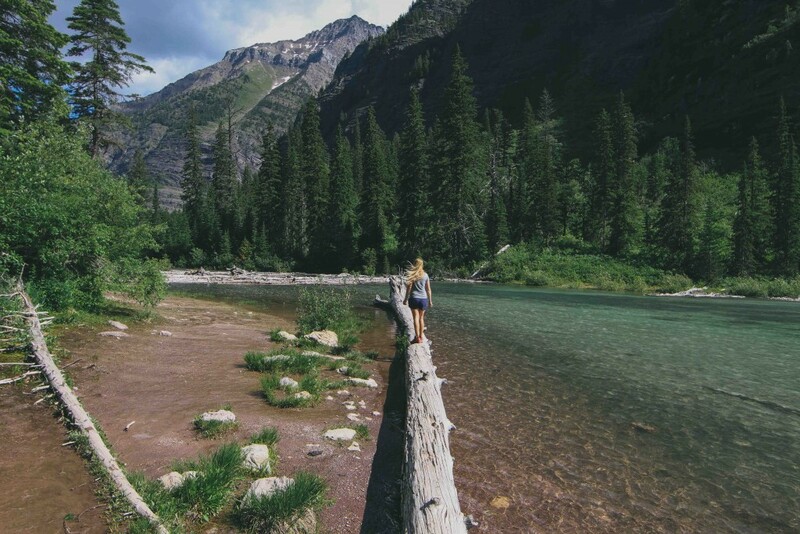 Taking a quick dip in a creek or lake can be super refreshing. Stopping a few times a day to take your socks off, hang them in the sun to dry (or even better, grab a new pair if you have them), and step in the water to scrub down your legs and feet will do wonders for your cleanliness and potential hot spots and blisters you may be developing. I recommend following this routine up with a good lather of lotion and a fresh pair of socks. Happy feet make the day so much better! A moisturizing lotion (unscented!) is an item I usually bring on my longer treks into the backcountry. In harsh weather and changing seasons, your skin can really take a toll, and it feels so good to be able to treat it well, even when you’re out roughin’ it. Times I find lotion to be the most useful is after cleaning my hands, legs and feet. If you want to learn more follow me on instagram at @findmeoutside! The post 5 Tips for Staying Fresh in the Backcountry appeared first on tentree.